Seriously, I can’t imagine being a teacher (or doing any job, really) without my beloved technology. It just makes life easier and I’m all about making things easier. As we start heading back to school, I wanted to share some technology tools I’m excited about and I’d love to hear what you can’t live without. Evernote: Remember Everything. Seriously. This is where I keep my brain on the computer (I also keep a list on a legal pad). For me, it’s like a private Pinterest without all the pretty pictures. I use it to keep myself organized, work out post ideas and make sure the grocery shopping gets done. Pinterest: The place you go to discover new things and collect inspiration. I use it to collect ideas for teacher self-care, elementary school teacher ideas, how to stay healthy, happy and sane and of course for restorative yoga ideas. Google docs: Create and share your work online and access your documents from anywhere. I use this to draft blog posts and to share with collaborators. Cozi: Family Calendar – Our family lives by this calendar. We input everything here and it has pretty much cleared up the communication snafus in our family. Now we know where everyone is expected to be and when. Plus there is a little journal feature where I can keep little girl’s milestone moments and memories. Class Dojo: Behavior Management Software. Improve behavior, share data and save time. A friend swears by this tool. She said it made classroom management effortless and students were super excited to improve their behavior. Full disclosure – I haven’t used this app yet, but when I go back to the classroom, I will. Remind 101: Send FREE texts to your students and/or parents to remind them about homework, field trips, report cards, changes in due dates. A sure-fire way to get away from the “I forgot”s. Full disclosure – I haven’t used this app yet, but when I go back to the classroom, I will. Headspace: Meditation for Modern Living. You didn’t think I would have a tech list without some sort of yoga or meditation tool, did you? Let’s face it, we’re all stressed out and could use some clarity in the head and space in life. Meditation is how you get this. I’m not going to lie, building a meditation practice is hard. I know all the benefits of meditation and I still struggle to just sit. I’ve been working on getting mine to be regular for years, so I’ve signed up for the Headspace free Take 10 program. 10 minutes for 10 days. It’s free. Just do it. Meditation is probably the best teacher tool we’ve got. Not convinced yet? Check out this TED talk from Headspace founder, Andy Puddicombe. 101 FREE Tech Tools for Teachers -<- a video that demos so many great tools. A must watch! 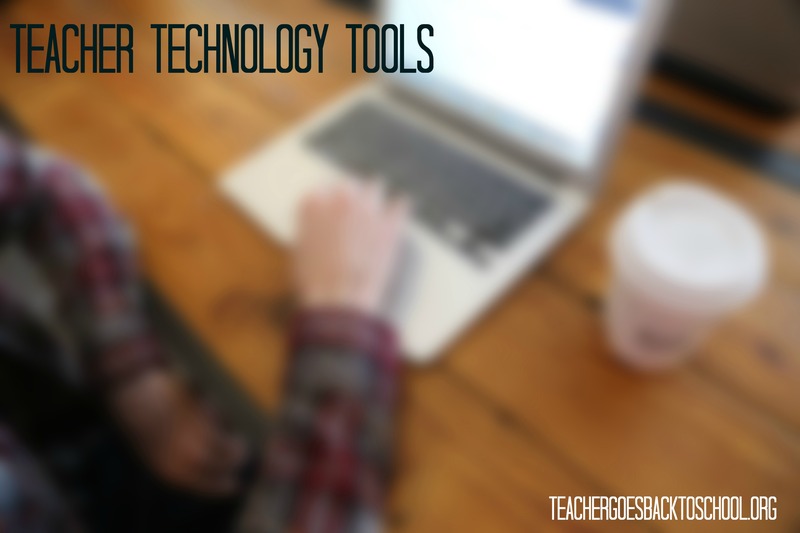 So friends – teachers or not – what are your must have technology tools? This entry was posted in Life as a School Teacher and tagged life made easier, teacher tech, teacher technology, technology for the classroom by Teacher Goes Back to School. Bookmark the permalink.